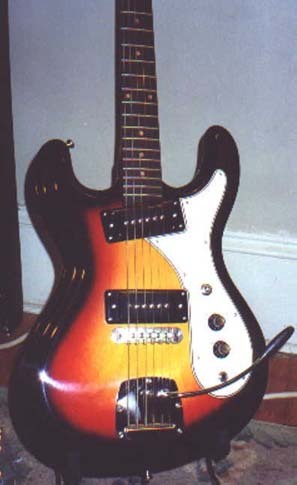 The Hi-Flier was a copy of the Mosrite guitar and debuted around 1968. 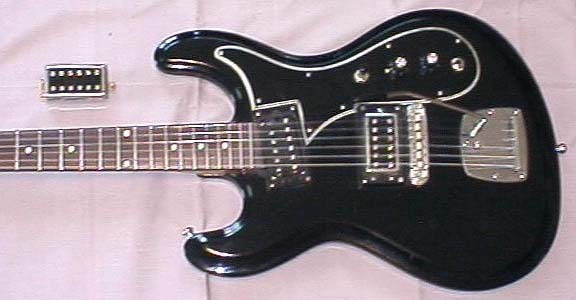 It had a thin body, with reverse strat style,a bolt on neck, plastic logo (until about 73, then changed to a decal under the finish), 22-frets on a rosewood fretboard, white pickguard w/ volume tone and 3-way pickup select, two black covered single coil P-90 pickups in the original (later changed to humbuckers). 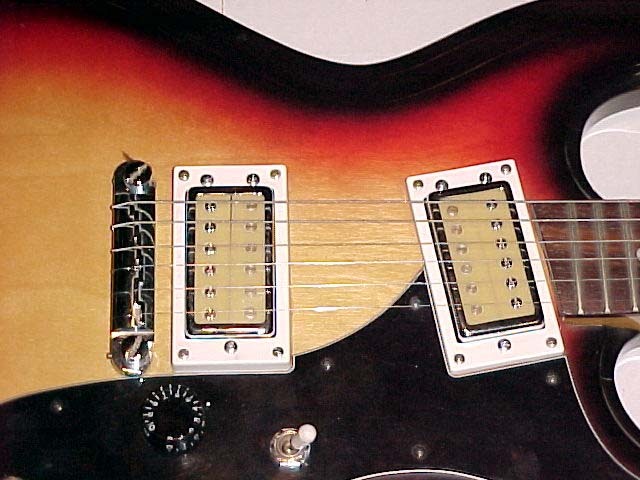 Also, all but the last models had an adjustable bridge and tremolo. 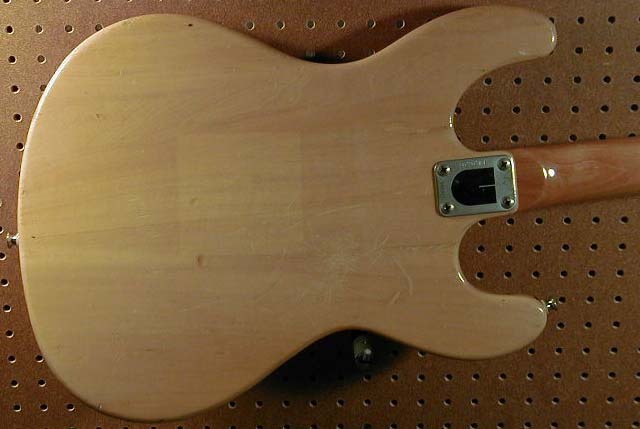 The guitar body was either plywood or poplar, I have conflicting information on this. 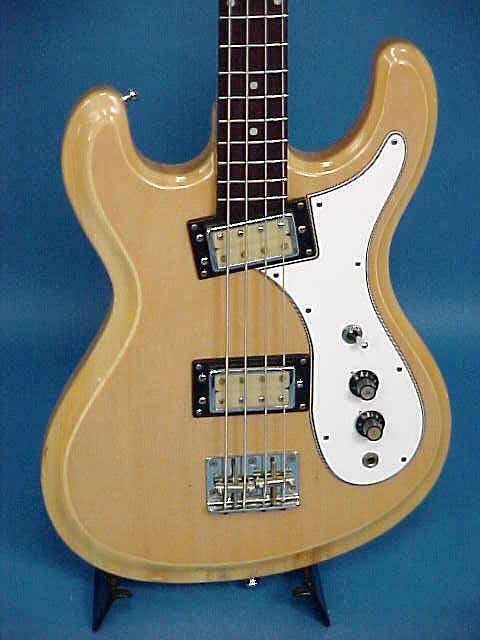 A site visitor told me a bass he refinished was definitely plywood, another that his Phase 3 bass was made of real wood with even better wood on top (presumably for sunburst). 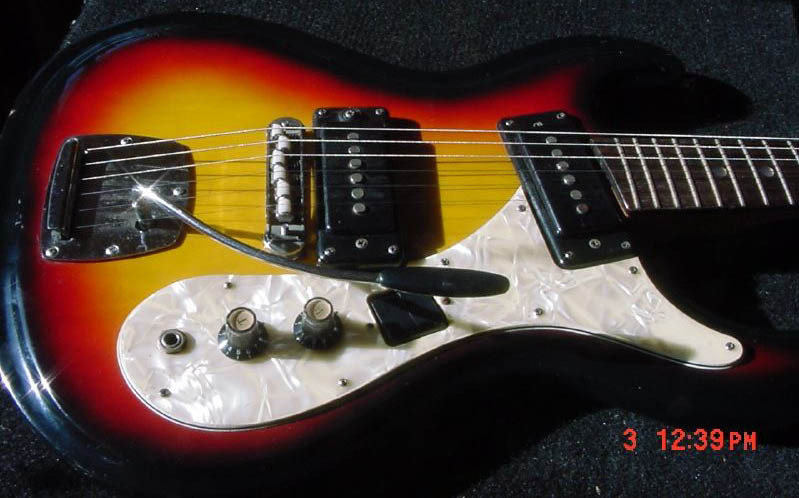 Available in the late 60's (with plastic logo) in orange sunburst(1, 2). 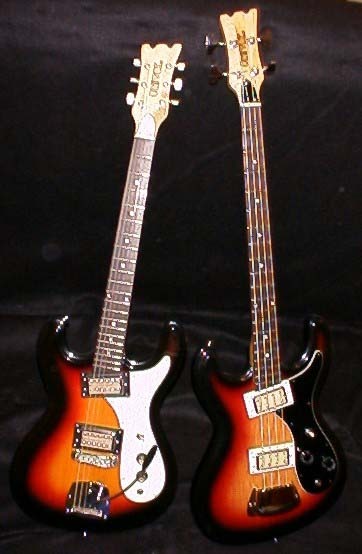 Available in 1971 in orange sunburst (1, 2) (U1800), black (1, 2, 3, 4) (1801), and white (2) (U1802). 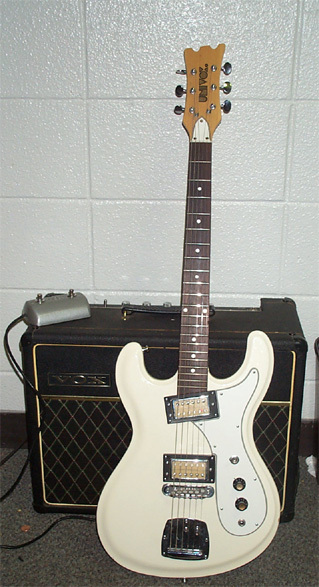 Original cost $82.50 + $12 for the case. 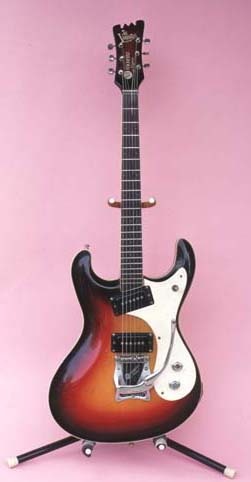 There was also a model of the guitar called the "Custom" (1, 2) available at this time in sunburst and black. 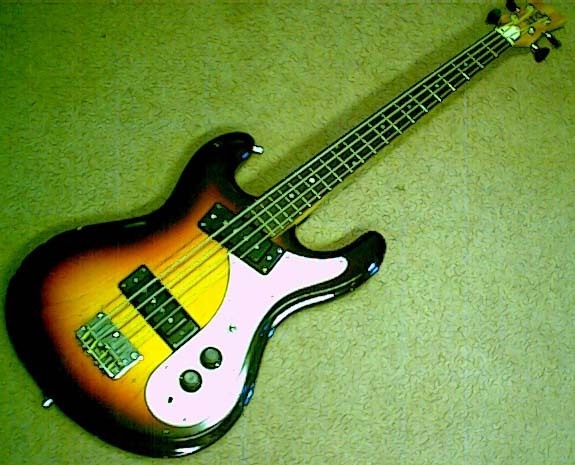 Also a shortneck bass (U1800B) was available, pretty much the same as the guitar, 4 finishes sunburst(1, 2, 3, 4) (U1800B), black (U1801B) (1, 2, 3, 4), white (1, 2) (U1802B) and Natural(1, 2, 3, 4) Cost: $99.50 + $15 for case. 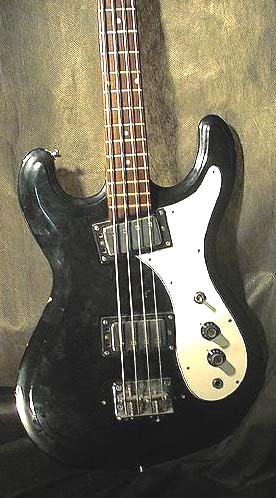 I have not found any indication that a regular scale Hi-Flier bass existed. 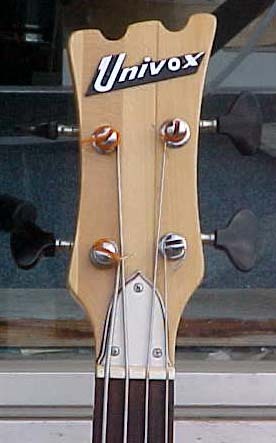 The basses remained very similar over the years, changine only pickups (to humbuckers) the logo, and some models had metal covered birdges. The covered bridges appear in both early and later models. 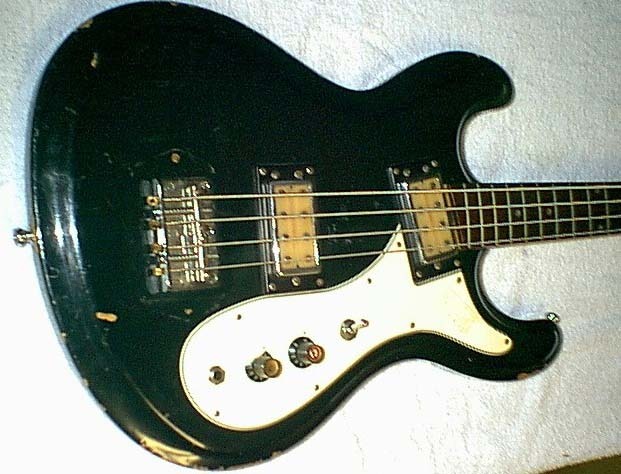 I also have one pic of a black bass that had metal covered humbuckers, these could be replacements. 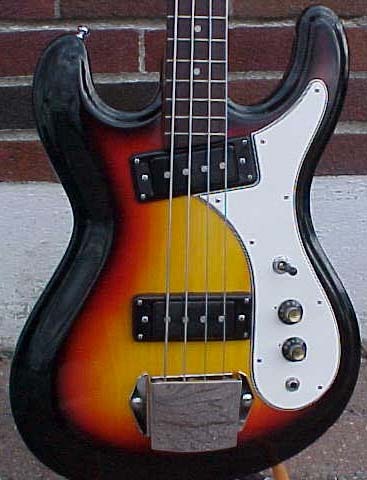 By 1976, there were 4 colors, sunburst (1, 2) (U1815/1815B), white (1) (U1816/1816B), black ( 1, 2, 3, 4) (U1817/1817B) and natural w/ maple fret board Phase 3 - (1, 2, 3) and Phase 4 - (1, 2, 3, 4, 5) (U1818/1818B). 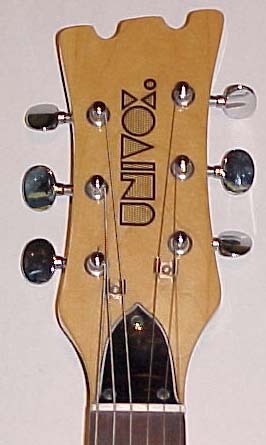 Some hi-fliers were sold with a Unicord Logo (1), at least in Cananda and maybe other places. 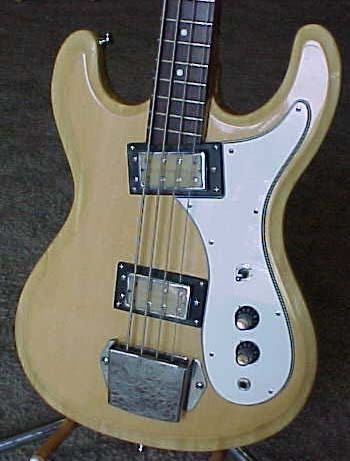 Part of the appeal of the Mosrite copy is the very light weight,.. 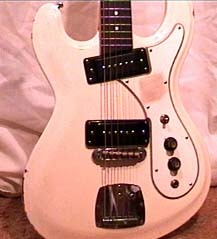 Indeed, Kurt Cobain, a big fan of the guitars, refered to them as "plywood beasts". 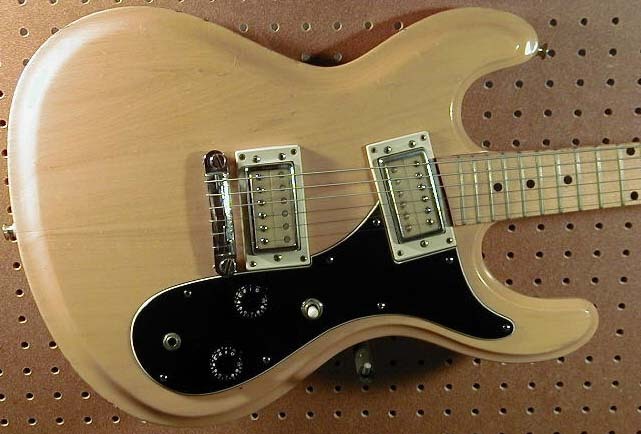 There aren't actually plywood but a very lightweight wood. 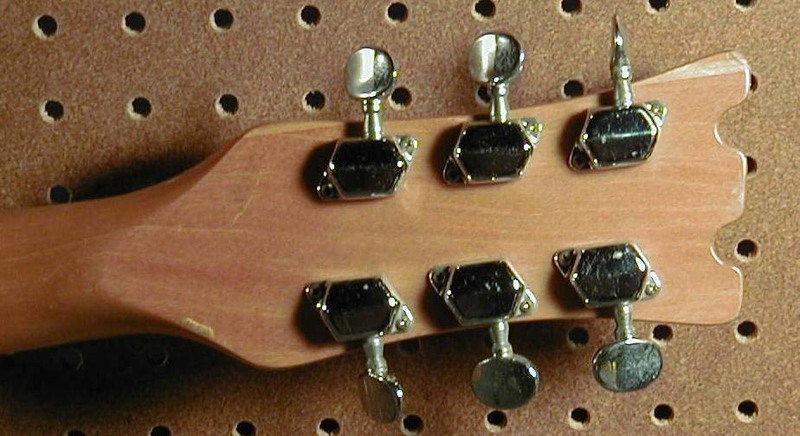 I've taken mine apart and it is definitely real wood in there. 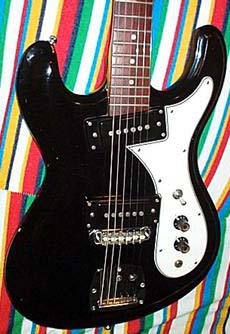 I'm also not sure if other Univox guitars were this light weight. 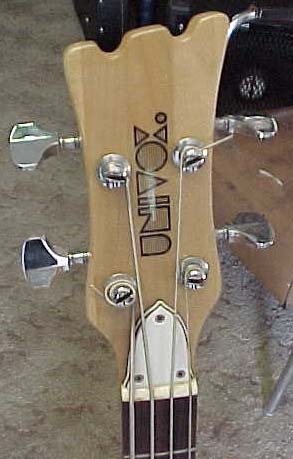 The only problem is that in the bass and possibly in other guitars, the balancing causes the neck of the guitar to point downward when not supported. 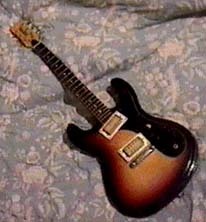 Two pics of a Hi-flier with a black pickguard, a Phase 4 I belive (1, 2). 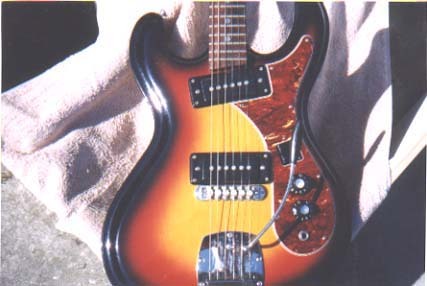 I also have a really nice article that appeared in Opinion Magazine back in 98 or 97, it was originally written by Rick Castronova and all the pics in the article were taken by him from his collection.